In celebration of Women’s History Month, the Foundation will be focusing on one “letter” of STEM each week of March. You will get to know several of our Pullman Scholars and Pullman Scholar Alumnae in STEM and learn more about their contributions to the fields. STEM stands for Science, Technology, Engineering and Mathematics; industry fields that make up 6.2 percent of the nation’s employment force (U.S. Bureau of Labor Statistics, Jan. 2017). That may seem like a small percentage, but these fields are crucial to the U.S.’s global competitiveness and innovation. STEM fields influence our health, economics, infrastructure, technology, and more. So why is it that women who comprise 47% of the U.S. workforce only represent 25.8% of STEM careers? There are many factors, but at the Pullman Foundation, we work to ensure our scholars have the resources and role models to pursue their dream careers. 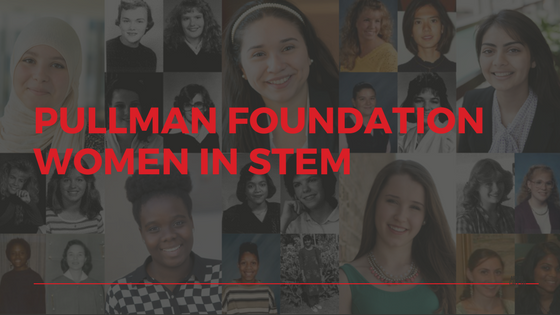 As a matter of fact, throughout the years, the Foundation has supported nearly 2000 women who pursued or are pursuing degrees and careers in STEM, roughly 14% of the scholars the Foundation has supported throughout the years. Forty percent of current female Pullman Scholars are pursuing careers in STEM, and 75 percent of our STEM females are in science majors! We’re extremely proud that they’re pursuing challenging fields like neuroscience and biochemical engineering. Please contact Katie Desir, Manager of Communications, if you are a current scholar pursuing a degree in a STEM field or Pullman Scholar Alumni whose career is in STEM. She is available at 312.422.0444 or kdesir@pullmanfoundation.org. We would love to know more about you! Learn about women in Science here. Learn about women in Technology here. Learn about women in Engineering here. Learn about women in Math here.